Black and white photograph depicting a small pond situated by the banks of a railway track which once bordered by yellows Irises, housed nesting Moorhens and graceful white Swans gliding across its surface but now it has been forgotten and fallen into disuse. A few minutes before the sun actually peeped its head over the horizon at 4.45 a.m. looking over Wallsend town in silhouette towards the North Sea Coast. 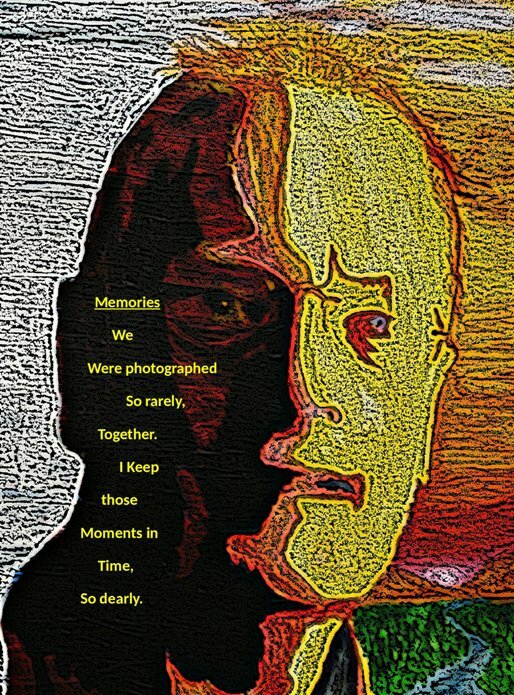 Illustrated prose poem concerned with remembering through the paucity of joint photographs family members who have passed away. 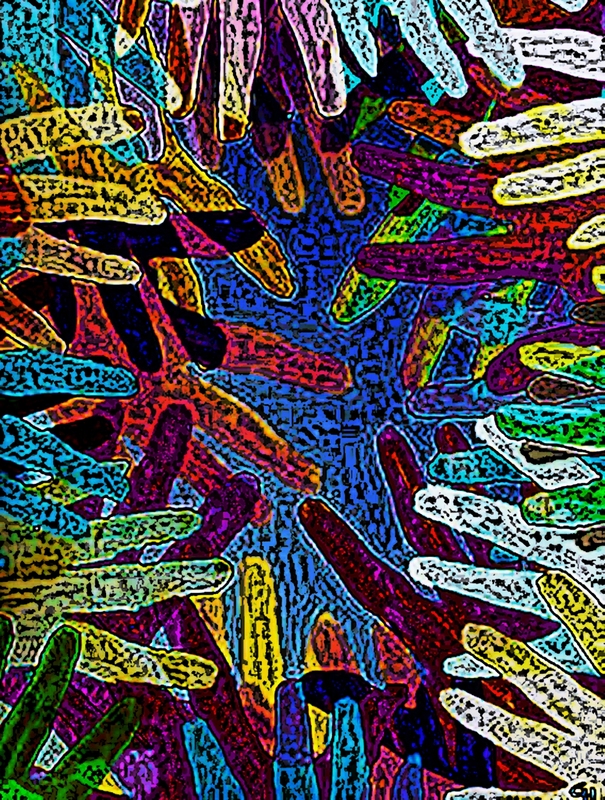 Abstract modified photograph representing the idea that the human genome is basically the same for all the peoples of planet Earth. 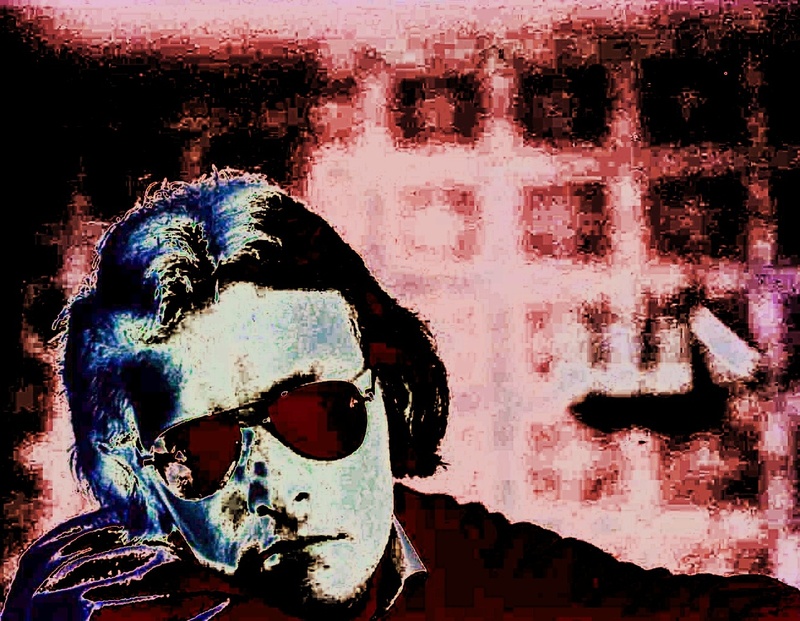 Modified Photographic portrait depicting the portrait of a man wearing dark sunglasses daydreaming of what he sees as his possible future..